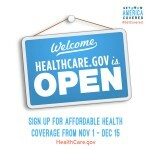 The Affordable Care Act (ACA; aka Obamacare) Health Insurance Marketplace begins its fifth Open Enrollment period today. American healthcare consumers can sign up on the federal insurance exchange at healthcare.gov or through their state marketplaces. This year, there is increased confusion and anxiety surrounding Open Enrollment due to changes (and attempted changes) made to the ACA under the Trump administration. Previous years Open Enrollment period ran 90 days after November 1 until the end of January but has been cut to 45 days this year unless you qualify for the Special Enrollment Period, extending the enrollment period by an additional 60 days. Further limiting access to enrollment, the healthcare.gov website has scheduled weekly 12-hour maintenance outages. Advertisements encouraging public awareness in Open Enrollment are also cut, with some allocated funds being used for an anti-ACA ad campaign, and federal health representatives have been told not to engage in outreach to help more people access enrollment. There is also considerable confusion, with many Americans being unsure as to the status of the Affordable Care Act due to frequent changes and attempted changes to the healthcare law. Other than the enrollment period’s length and the funds used for advertising diminished, an Executive Order earlier this month opened the marketplace to low-benefit insurance plans and an order to cease subsidy payments that help cover 10 million American’s healthcare premiums. These changes are expected to raise insurance premiums for nearly everyone as well as out-of-pocket costs for the most vulnerable Americans. For many this drastically changes the Affordable Care Act and potentially changes the nominal Obamacare to “Trumpcare” despite protestations that any failures of the law remain the fault of the original authors regardless of the Trump administration’s enacted changes. Since federal resources are refraining from outreach, organizations such as Get America Covered are reaching out to combat misinformation and encourage enrollment. In order to avoid a minimum $695 penalty for not having health insurance, Americans must be covered by insurance before the end of the year. For those who have applied through insurance exchanges in previous years, they have to update their information and compare their options for 2018. If you have questions about signing up or want to talk through your options with a trained professional, free assistance can be reached by calling 1-800-318-2596 or visiting http://localhelp.healthcare.gov. NeedyMeds will continue to provide information as the need for assistance navigating the often expensive landscape of health care rises. The NeedyMeds website has databases of Patient Assistance Programs (PAPs), Diagnosis-Based Assistance (DBAs), and Free/Low-cost/Sliding-scale Clinics to help those in need. The NeedyMeds Drug Discount Card can save users up to 80% off the cash price of prescription medications for those without insurance or choose to use the card instead of insurance. In addition to the plastic card, the card is available in a printable form or a smartphone app for Apple and Android devices. For more help finding information, call our toll-free helpline Monday-Friday 9am-5pm Eastern Time at 1-800-503-6897.